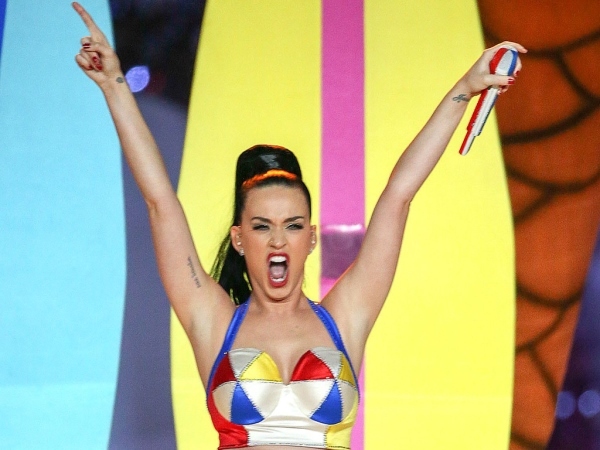 Katy Perry reportedly wants to play John Mayer at his own game. The popstar has been dating John on and off for more than two years, but was recently spotted getting close to Winston Marshall from Mumford & Sons after a gig in Berlin. Prior to her night out with Winston it was thought Katy and John were back on, but those close to the 30-year-old say it was all part of her new game plan. "She wanted to play John at his own game. Katy's been in a state of constant jealousy during their on/off relationship, and wanted to give him a taste of his own medicine," an insider told British magazine Grazia. "When they got back together, John promised that things would be different this time, so she agreed to give him another chance, but rumours of his philandering continue. She decided that if he's not going to fully commit, neither will she. Her hope was that if John saw her socialising with other men, he'd see what he stands to lose." While Katy has been flirting up a storm, she's also had to deal with a new documentary made by ex-husband Russell Brand called Brand: A Second Coming. The British comedian premiered the film at the SXSW festival, and included details about his 2012 split with Katy. At one point it shows him sitting down with Katy to talk about money and fame, but he finds her answers unsatisfactory. "I think you're a genius and you make me look good, and that's why I picked you," she says. In a scene shot after their breakup, Russell tells the camera: "We were going in different directions. Possibly opposite directions." Katy is said to be hurt by the inclusion of such private details. "Katy has been pretty hurt by the latest revelations. This drama with John is the last thing she needs," the source said.